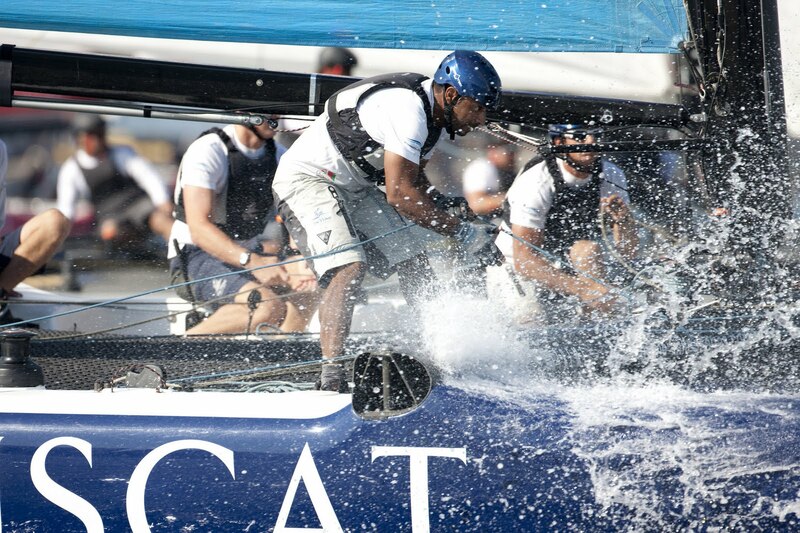 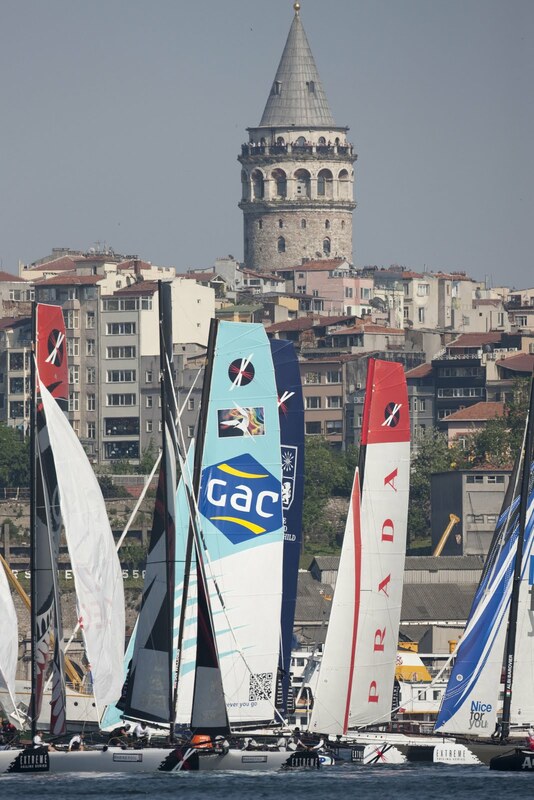 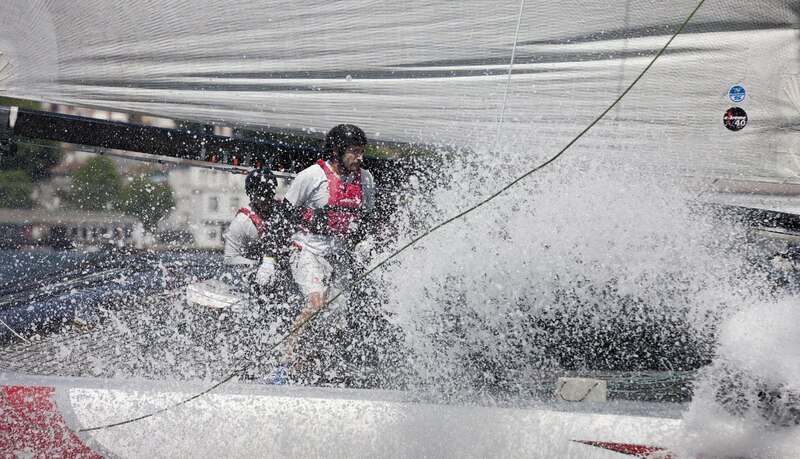 The Halic Estuary in Istanbul provided plenty of thrills and spills in Act 3 of the Extreme Sailing Series today. 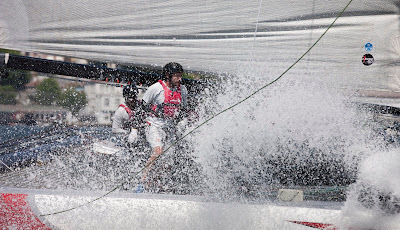 Conditions might have only been 7-10 knots but the fierce gusts meant sailors had their work cut out for them over seven races on a short sharp two-lap course that is over in as little as twelve minutes flat. 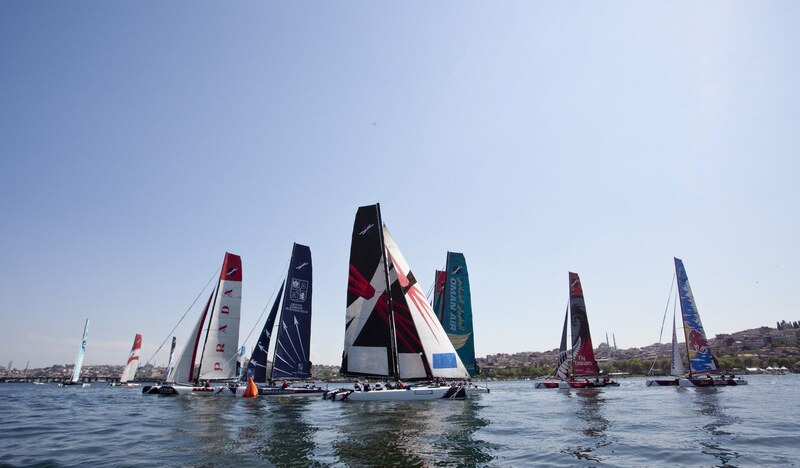 Artemis Racing, have further increased their lead by 19 points followed by Alinghi who are on equal points with Emirates Team New Zealand. There were a few stacks and several close calls. 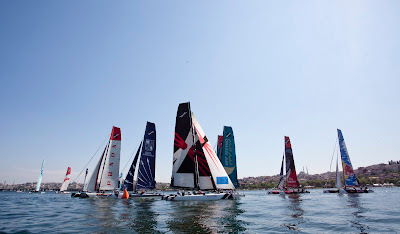 Luna Rossa was craned out tonight to check for damage after smashing into Team GAC Pindar’s rear beam, and later knocking with Artemis Racing inflicting some damage to the aft port hull. 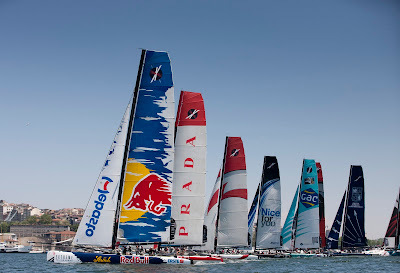 Even though the Italians have dropped from 2nd to 4th place overall they will be back on the water along with Team GAC Pindar.